This brazilian system is a clone of the Atari 2600. 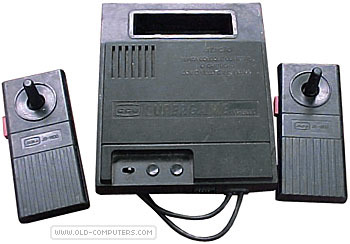 It is the follow-up of the successful CCE Supergame VG-2800, but more compact. There are only two buttons on the console itself (START & RESET) and an ON/OFF switch. SOUND 2 mono channels ? see more CCE Supergame VG 3000 Ebay auctions !